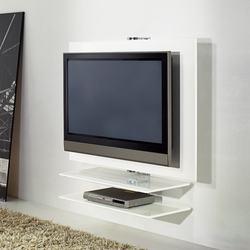 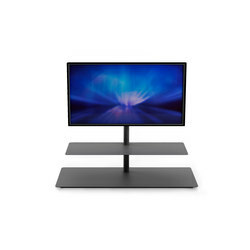 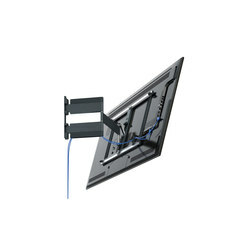 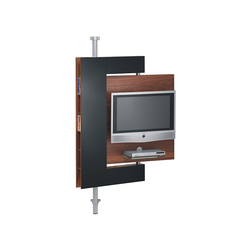 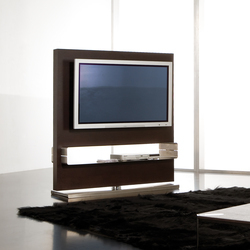 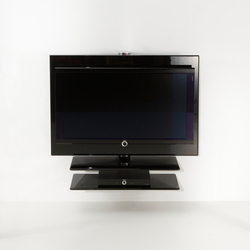 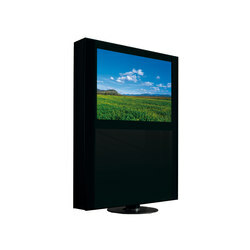 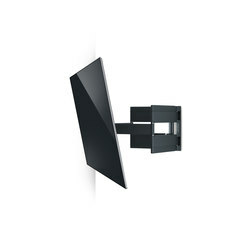 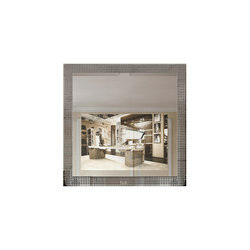 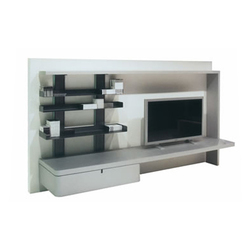 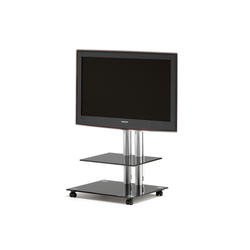 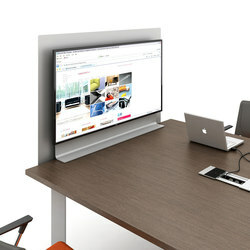 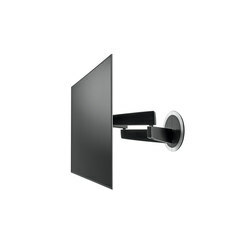 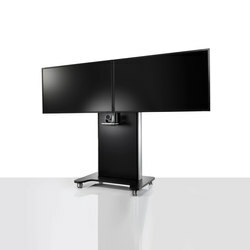 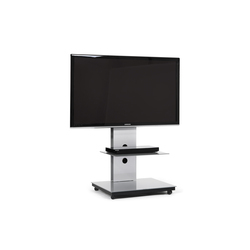 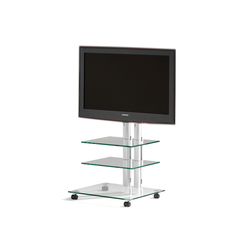 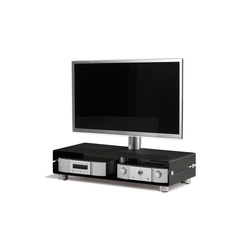 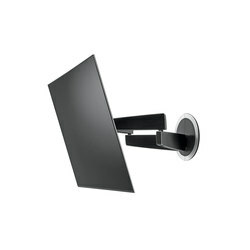 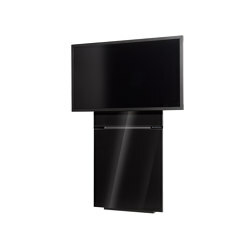 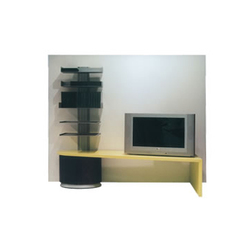 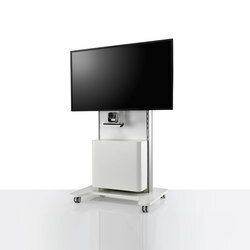 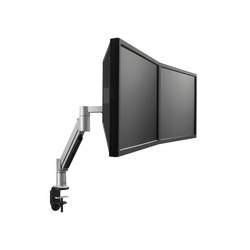 Unlike AV cabinets, AV stands tend to have open storage space, and very often, the TV is actually affixed to them, rather than placed atop, or mounted on the wall behind. 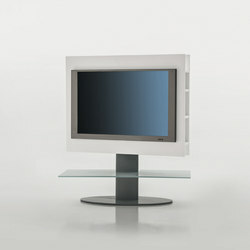 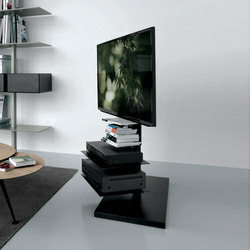 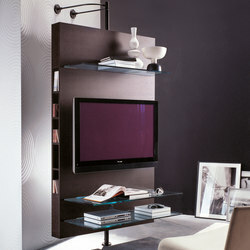 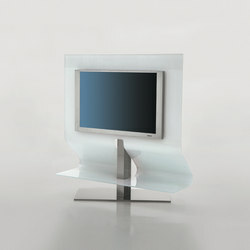 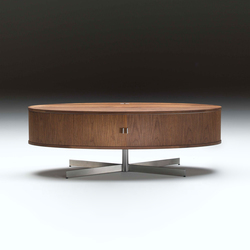 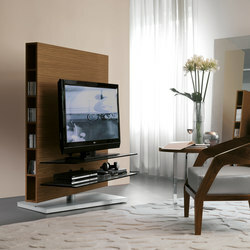 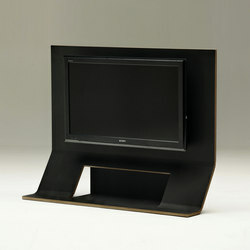 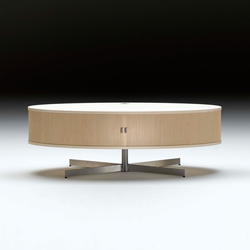 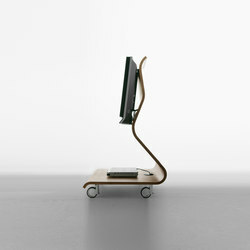 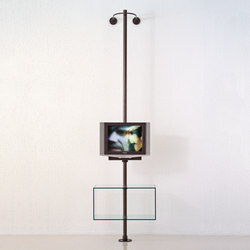 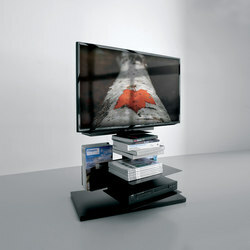 This not the case with Sergio Santoro’s snaking, sculptural ‘Porta TV’ for morelato, a cross between a coffee table and an AV stand made out of rosewood, Toshiyuki Kita’s ‘Tori’ AV stand for Zeritalia, an all glass TV table, with two steel bars underneath that case house a DVD player, and Dreieck’s ‘Logo’, a long, rectangular glass compartment balancing on one aluminium leg. 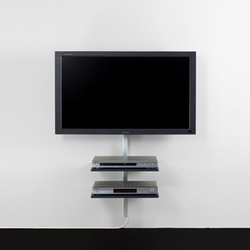 However, those were the exceptions to the rule. 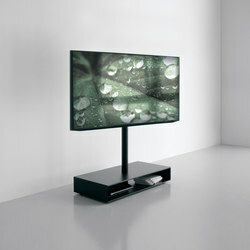 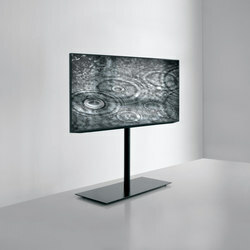 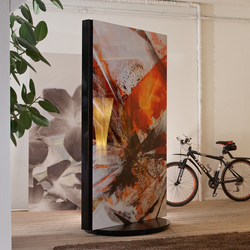 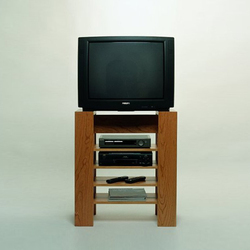 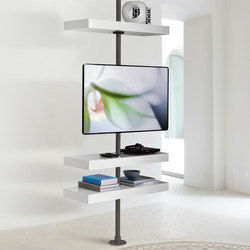 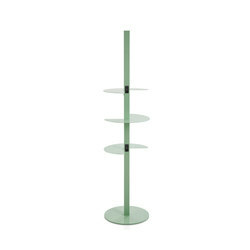 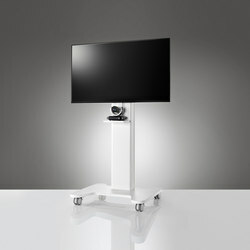 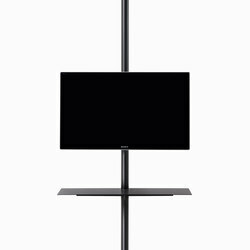 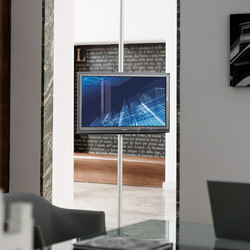 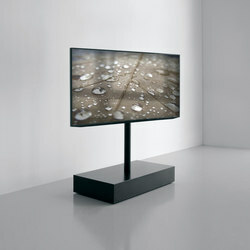 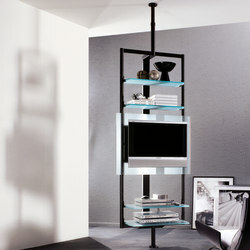 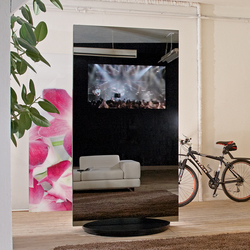 Desalto’s ‘Sail Basic tv system’ is a stand with a height-adjustable, rotating column, and a long, asymmetrically placed base. 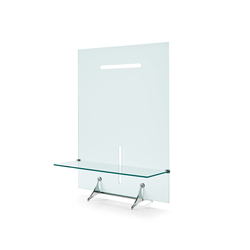 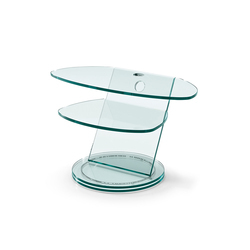 Karim Rashid affixes partially self-supporting, glass shelves onto a central, swivelling column for his elegant, Tonelli-manufactured ‘Plasmatik’ AV stand. 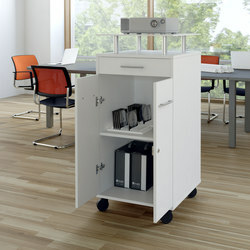 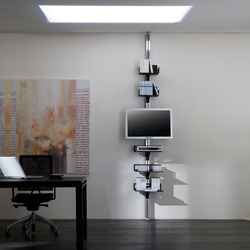 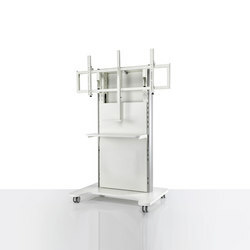 ZER04ZER03 Studio’s ‘System SY03’, produced by Extendo, offers not only an AV stand with three separate shelves, but also a separate, harmonising floor-to ceiling open storage system, both from aluminium. 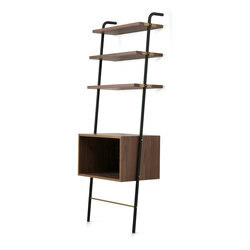 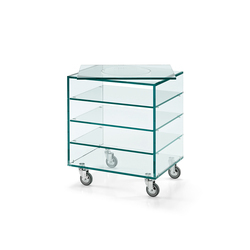 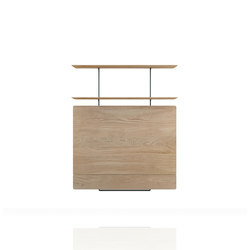 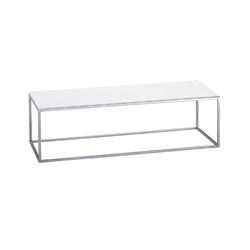 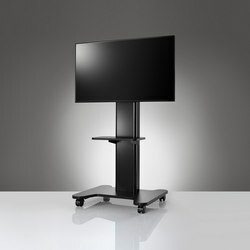 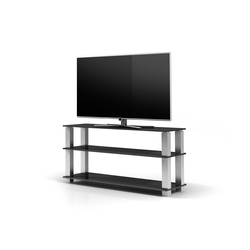 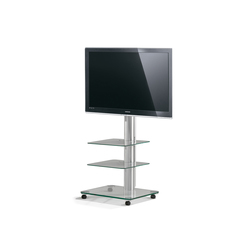 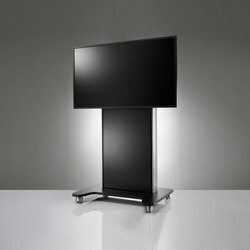 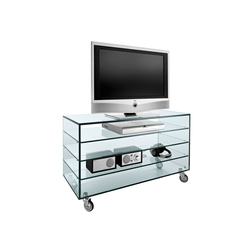 Spectral’s ‘Panel’ is an archetypal TV stand, with two central, polished steel columns and glass shelves, but it has wheels attached to its base, granting it greater mobility. 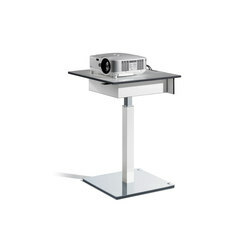 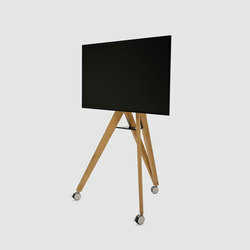 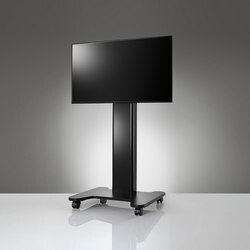 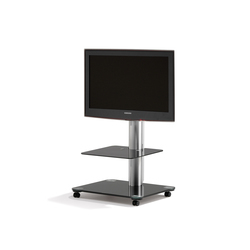 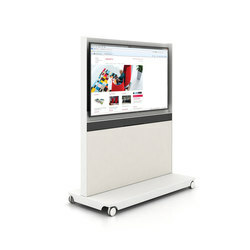 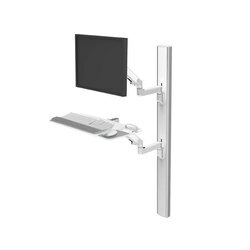 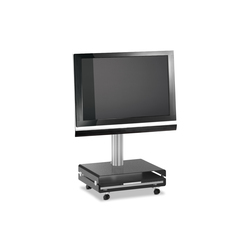 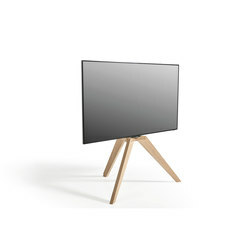 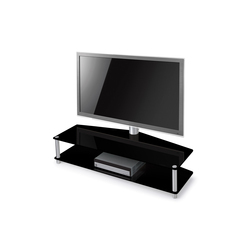 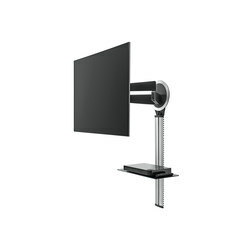 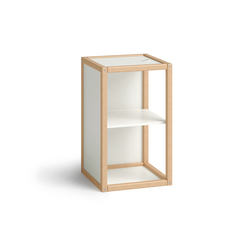 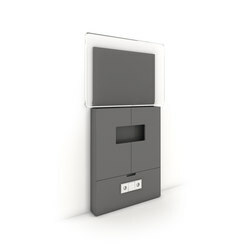 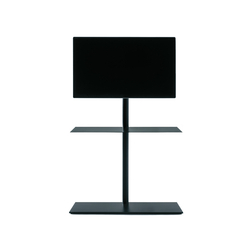 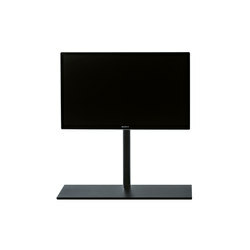 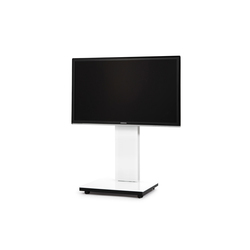 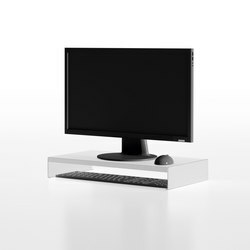 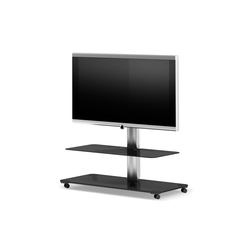 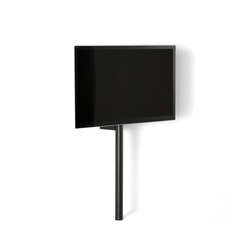 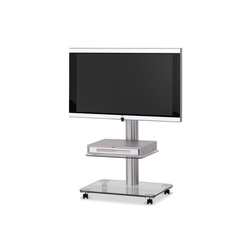 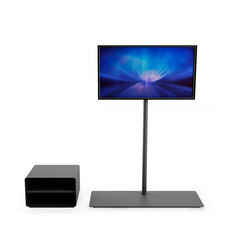 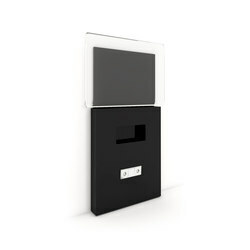 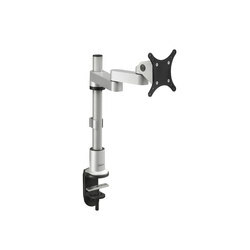 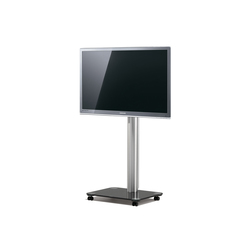 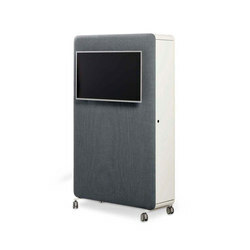 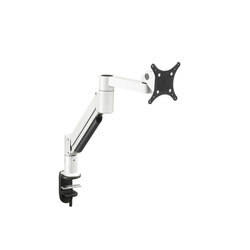 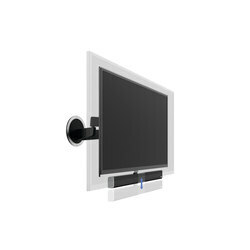 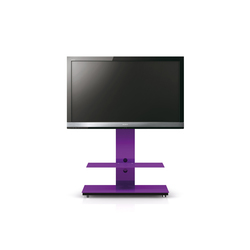 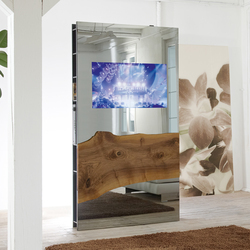 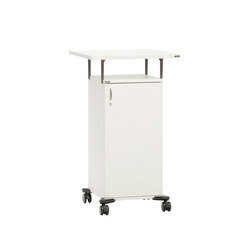 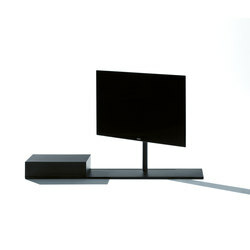 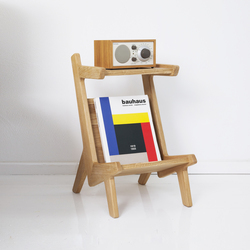 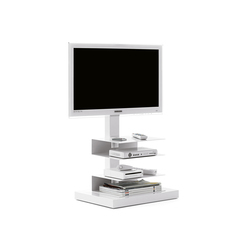 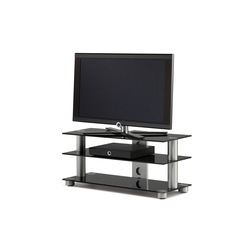 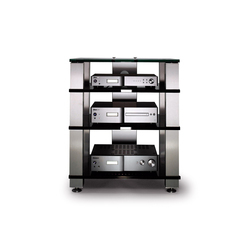 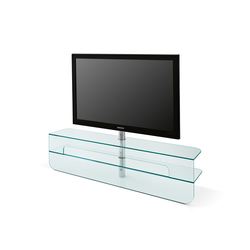 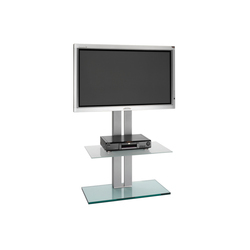 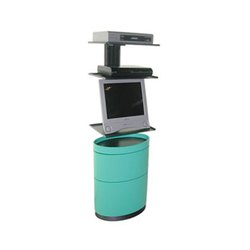 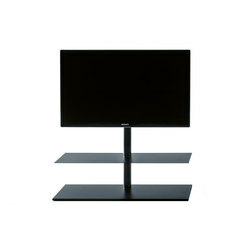 And finally, the same manufacturer also targets audiophiles, ensuring high quality sound reproduction by eliminating vibrations in their ‘High End’, a sturdy, aluminium and glass AV stand.